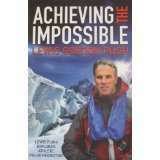 Lewis Pugh – Inspirational Motivational Speaker goes to the extremes. He’s been to the world’s most inaccessible places. He’s put his body through unimaginable difficult conditions. 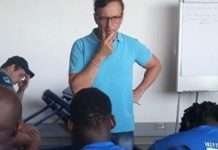 He has learnt how to harness the energy that comes from overcoming extraordinary odds and he knows how to inspire audiences to rise to their own internal challenges. His talks make a difference, to individuals and to organizations, now available through Speakers Inc.
What are the qualities that make Lewis Pugh one of the world’s leading inspirational speakers? What is it about his talks that bring audiences to their feet? What is it about him that captured the imaginations of world leaders like Bill Clinton, Ted Turner and Desmond Tutu? Lewis’s ability to make his story matter has made him into one of the world’s leading inspirational speakers. On their 125th anniversary, Coca-Cola asked Lewis to address their world-wide leadership team; when Unilever decided to double their business and halve their environmental footprint, they chose Lewis to motivate their management team and when Lloyd’s Agency Network turned 200 years old, they asked Lewis to help them visualize their future in an increasingly unpredictable world. As an ocean advocate and pioneer swimmer, Lewis puts his hard-learned lessons into the context of a corporate environment. He shares the visualization that enabled him to undertake the first swim across the sub-zero waters of the North Pole. 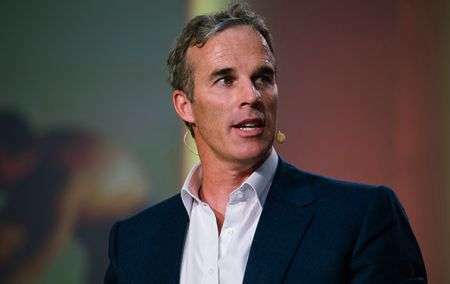 Lewis Pugh – Inspirational Motivational Speaker shares the ‘radical tactical shift’ that he used to complete the first swim across a glacial lake on Mount Everest. Lewis is often described as the ‘Sir Edmund Hillary of Swimming’. He is the only person to have completed a long distance swim in every ocean in the world. To date, he has pioneered more swims around famous landmarks than any other swimmer in history. Lewis is a vivid story teller. His address on leadership at the Business Innovation Forum in Rhode Island was voted as one of the ‘7 Most Inspiring Videos on the Web’. Over 5 million people have viewed Lewis’s TED talks, and countless others have followed him on BBC, Good Morning America, CNN, Jon Stewart, National Geographic, Sky News, Al Jazeera, Jay Leno and more. Lewis has received a number of awards including France and South Africa’s highest honors, as well as The Freedom of the City of London. In 2010, the World Economic Forum named him a Young Global Leader for his “potential to contribute to shaping the future of the world through inspiring leadership” and in 2013, the United Nations Environment Program appointed him ‘Patron of the Oceans’. How do we achieve the “impossible”? From companies that have set massive targets and need the strategy and inspiration to get to the next level. How do we change? From organisations that know they need to adapt in a fast changing world. How can we work more effectively as a team? From multi-nationals that operate with teams made up of many different cultures and backgrounds. How do we attain excellence? 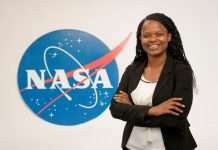 Frequently from leadership teams of companies who are working in developing economies. The ’21 Yaks’ collected here are the key lessons Lewis took home from his expeditions. These were not just feats of physical stamina and endurance, but about overcoming the psychological obstacles to success. Which is why his strategies are as applicable to business and personal development as they are to extreme sports. 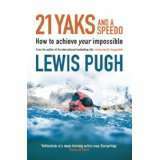 In 21 Yaks and a Speedo Lewis shares his ability to dream big dreams, build crack teams, and get the job done. You’ll be inspired by his devotion to excellence, his loyalty to his crew, and his belief in never giving up. The principles are simple, but effective. Stick by them, he says, and they’ll see you through. Lewis Pugh – Inspirational Motivational Speaker spent the first ten years of his life in England, the next 17 in South Africa, and since then has lived in both countries, not forgetting great times spent in Norway. He is a maritime lawyer by training and a pursuer of dreams by inclination. There wasn’t an ocean or a sea that he didn’t want to swim, nor a mountain he didn’t want to climb and it was no surprise when he quit his well-paid lawyer’s job in the City of London for a life more interesting. He spent five years in the British SAS, devoted his free time to preparing for and swimming in the world’s most hostile places; the North Cape, the Antarctic, the North Pole and developed an understanding of the beauty, the preciousness and fragility of life and its many eco-systems. 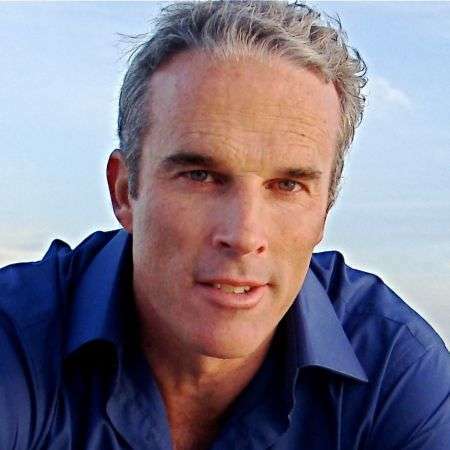 Driven by nothing more than deep belief, Lewis Pugh – Inspirational Motivational Speaker has achieved things most would regard as impossible. He doesn’t tell us what we must do but shows what can be done.